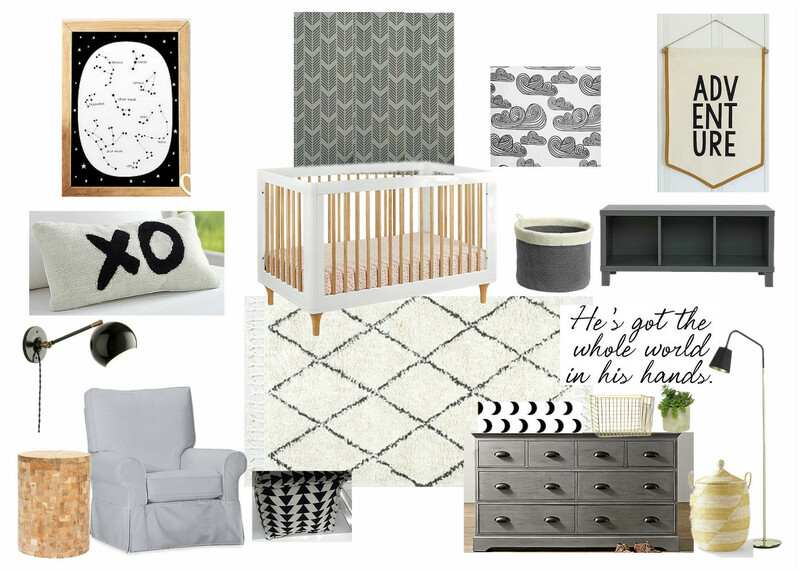 I was contacted in January by my client wanting me to do an E-design for her 2nd son’s nursery. 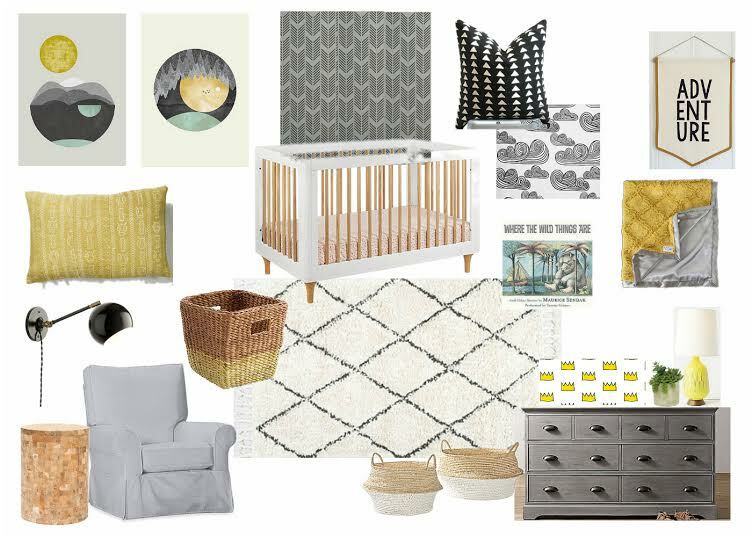 She wanted a space that was peaceful and serene incorporating the black, white, grey and yellow color palette. 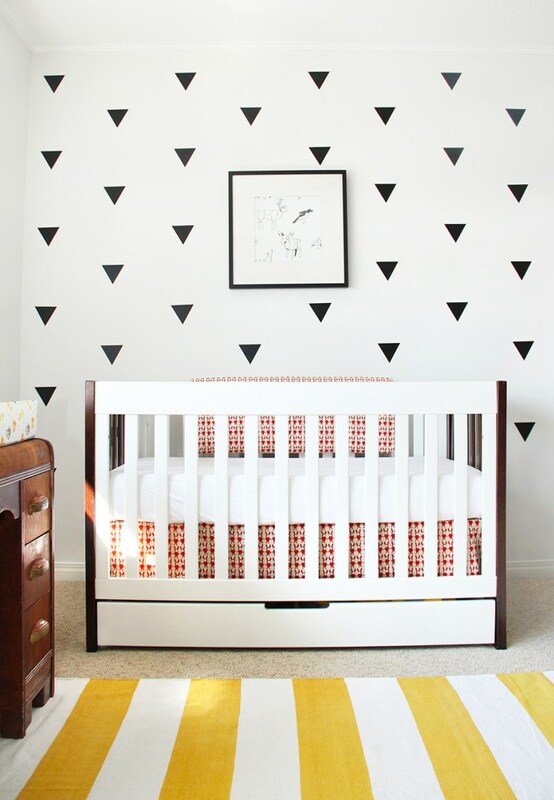 She loved the cloud sheets from Land of Nod and definitely wanted to incorporate them. I got to work based off of a few inspiration photos she had shared with me. You can definitely see a reoccurring theme among these two images and I was up for the challenge to achieve a similar aesthetic without being exactly like these two amazing rooms. 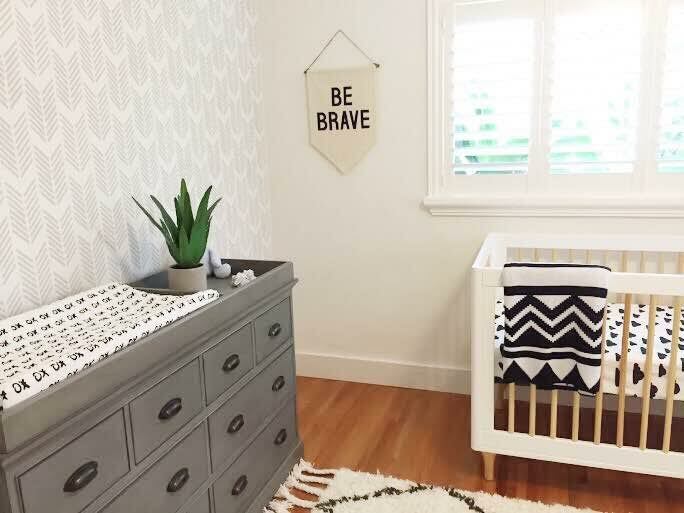 I incorporated yellow accents throughout the space so that the color wasn’t too overwhelming by being used in a large scale because I knew that wouldn’t go along with my clients want for a serene space. 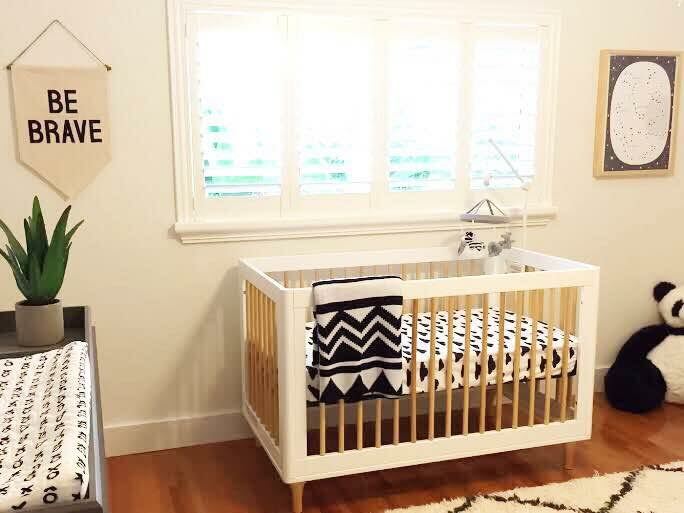 When I presented this design to her she loved it, but wanted to make a few adjustments so that it felt more cohesive to her home. I’m always ok with this which is why I allow two revisions with my designs. My client decided she didn’t want such a large amount of yellow after all so we toned it down and really pushed the black and white options. 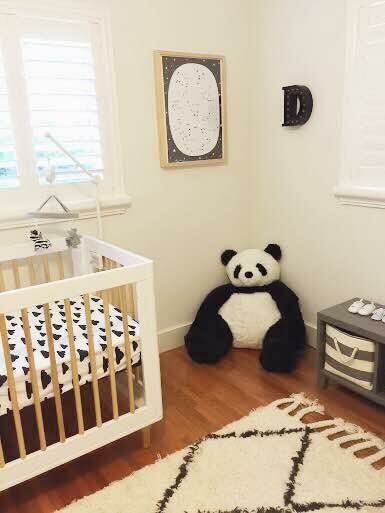 I promised I would share some pictures of this completed nursery and here they are. I think we can all agree that the arrow accent wall is pretty phenomenal! It is an inexpensive way to make a big impact. It takes time and paint, but very little money. If you are interested in an E-design feel free to contact me as I’m booking up my calendar for the summer. 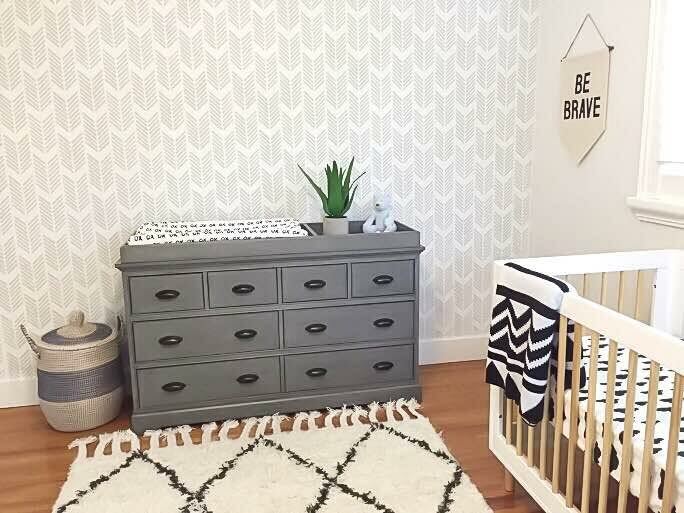 Love this nursery, what color paints did you use on the accent wall? 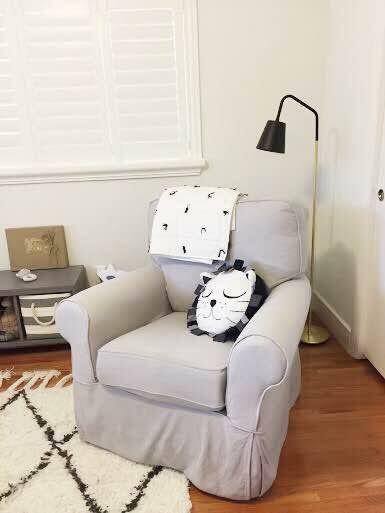 My suggestion to my client was to try each of these following grey's to see which felt right in her space…Benjamin Moores Coventry Gray, Gray Owl or Nimbus. All rooms get such different natural light, so sample each. And white dove from BM is a great white.